I just got home from a long day and the first thing I started craving was a delicious mango. As the national fruit of India, mangoes are quite possibly one of the most cultivated fruits in the world today. I love them in an array of dishes, especially sweet, savory and fruitful dishes. 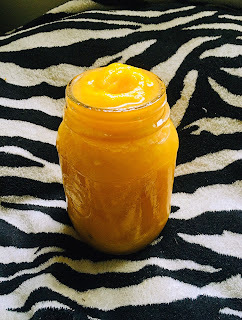 Today, I wanted to make a simple smoothie with just mango, ice and Vita Coco coconut water, which is what I did. I didn't add any sugar to this nor any other ingredient. I added these ingredients to my Cuisinart blender. Mangoes are very nutritional. Often dubbed the "King of all fruits" in India, this cult-classic staple is one of the healthiest foods can ever put in your mouth. Mangoes contain a natural form of "zeaxanthin" which is a powerful antioxidant which corrects, protects and prepares your eyes from harmful UVA/UVB rays. It also works to protect your eyes from various environmental stressors and DNA damage. And because of their vitamin A amount, mangoes are great for overall eye health. This powerful fruit is infused with a lot of Vitamin K which is extremely vital in bone health. Low Vitamin K intake is associated with poor circulation, blood clots (including disorders such as Anemia) and stress fractures. Lack of Vitamin K is associated with poor bone mass and strength. To prevent these problematic issues, mangoes are one thing you should eat everyday. Collagen is extremely vital. Vitamin C essentially helps in assisting collagen to build itself in the body. Excluding the 16 types of collagen, the most popular and important are type I, II and III; with I and III being important for the hair, skin and nails. 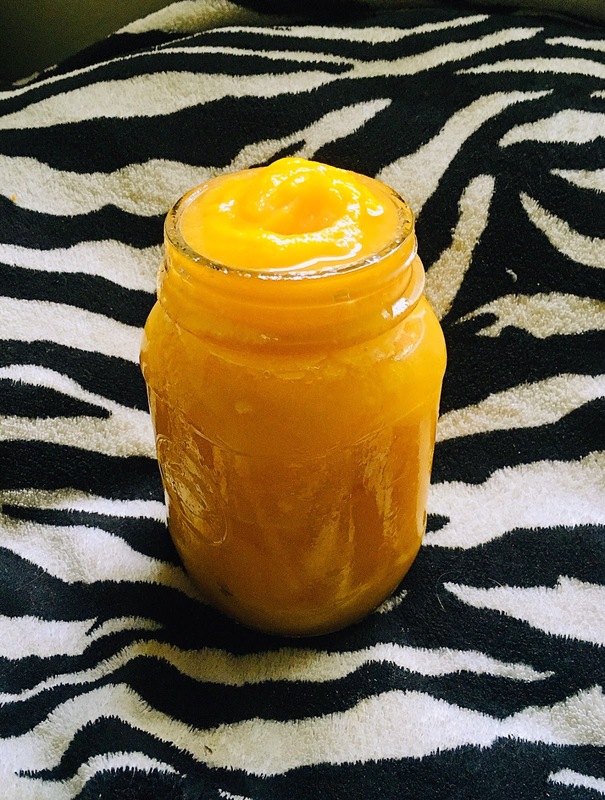 Eating mangoes can help aid in hair health, skin health and nail health. Additionally, eating a mango also helps with heart disease, in both prevention and restoration. It also helps with those of you who suffer from type 2 diabetes. And it helps with boosting immunity. By consuming this fruit, you can also boost your mental health and well being, as it helps with eliminating depression. Eating mangoes also helps with those of you with digestive issues. I am going to drink my smoothie now. Have a wonderful evening.